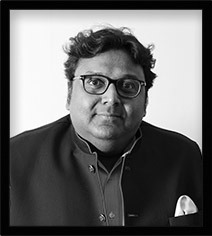 Ashwin Sanghi ranks among India’s highest selling English fiction authors. He has written several bestsellers (The Rozabal Line, Chanakya’s Chant, The Krishna Key, The Sialkot Saga, Keepers of the Kalachakra) and two New York Times bestselling crime thrillers with James Patterson, Private India and Private Delhi. Included in the Forbes India Celebrity 100 and winner of the Crossword Popular Choice, Ashwin also mentors and co-writes the immensely popular 13 Steps series. Sunil is a serial entrepreneur and the founder of UniDEL, a multi-asset class single family office with a focus on early stage technology investing. He has built multiple global businesses since taking over and redirecting his family owned industrial ventures. 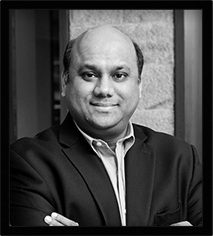 Sunil uniquely combines an understanding of finance, investments and technology. Sunil is a member of the Young Presidents Organization and is keen on nurturing entrepreneurial talent. He holds a Bachelor’s degree in Mechanical Engineering & Management of Technology from Vanderbilt University, USA. He has co-authored 13 Steps to Bloody Good Wealth with Ashwin Sanghi. 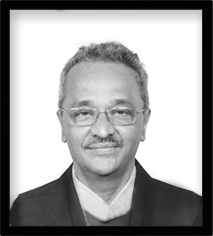 Ashok L. Rajani was educated in St. Mary’s High School, Chennai, Loyola College, Chennai and College of Engineering, Guindy. He joined Andhra Bank as a departmental officer in 1978, took the banking exam (CAIIB), completed an MBA (Finance) and went on to teach in the bank’s Staff Training College. After retiring, he taught himself the APA guidelines and edited engineering-related technical papers and Ph.D. theses of Indian and international candidates. He also taught freelance classes on communication skills and management for B.B.A. and M.B.A. students while editing several books for Indian, British and American authors. He has co-authored 13 Steps to Bloody Good Marks with Ashwin Sanghi. Kiran Manral published her first book, The Reluctant Detective, in 2011. Since then, she has published eight books across genres till date. Her books include romance and chicklit with Once Upon A Crush (2014), All Aboard (2015), Saving Maya (2017); horror with The Face at the Window (2016) and nonfiction with Karmic Kids (2015), A Boy’s Guide to Growing Up (2016) and True Love Stories (2017). Her short stories have been published on Juggernaut, in magazines like Verve and Cosmopolitan, and have been part of anthologies like Chicken Soup for the Soul, Have a Safe Journey (2017) and Boo (2017). Her articles and columns have appeared in the Times of India, Tehelka, DNA, Yowoto, Shethepeople, TheDailyO, Scroll, Buzzfeed, New Woman, Femina, Verve, Elle, Cosmopolitan, Conde Nast Traveller, DB Post, The Telegraph, The Asian Age, iDiva, People, Sakal Times and more. She was shortlisted for the Femina Women Awards 2017 for Literary Contribution. She is a TEDx speaker and was a mentor with Vital Voices Global Mentoring Walk 2017. She was awarded the International Women’s Day Award 2018 for excellence in the field of writing by the Indian Council of UN Relations (ICUNR) supported by the Ministry for Women and Child Development, Government of India. Her novella, Saving Maya, was long listed for the Saboteur Awards 2018, UK, in association with the Arts Council, England. She has co-authored 13 Steps to Bloody Good Parenting with Ashwin Sanghi. Dr Mukesh Batra, a homeopath of international repute, is the founder-chairman of Dr Batra's™ Group, the world's first and largest homeopathy corporate. In a career spanning four decades, Dr Batra has treated over a million patients, including eminent political leaders, presidents and prime ministers, prominent film personalities and industrialists. He has been honored with several fellowships and over fifty national and international awards, including the Padma Shri, one of India's highest civilian honours by the President of India. 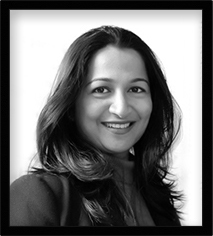 Dr Batra is the first Asian homeopath to be awarded Honorary Fellowships by both the British and American professional homeopathic associations. A film based on his work is course material for post-graduate students of homeopathy worldwide. He has published several research papers in national and international professional and scientific journals. 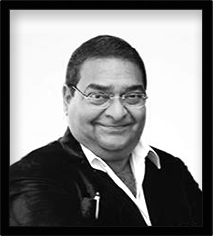 Dr Batra has popularised homeopathy through his writings in newspapers, magazines and books. His book Every Man’s Guide to Homeopathy, was a national bestseller and has been published in multiple languages in three editions. His other book Healing with Homeopathy, is already in its third edition. He also extends homeopathic care to animal welfare shelters, orphanages and old age homes. His own personal interests include photography and singing have been turned into exhibitions and concerts that raise funds for charitable causes. 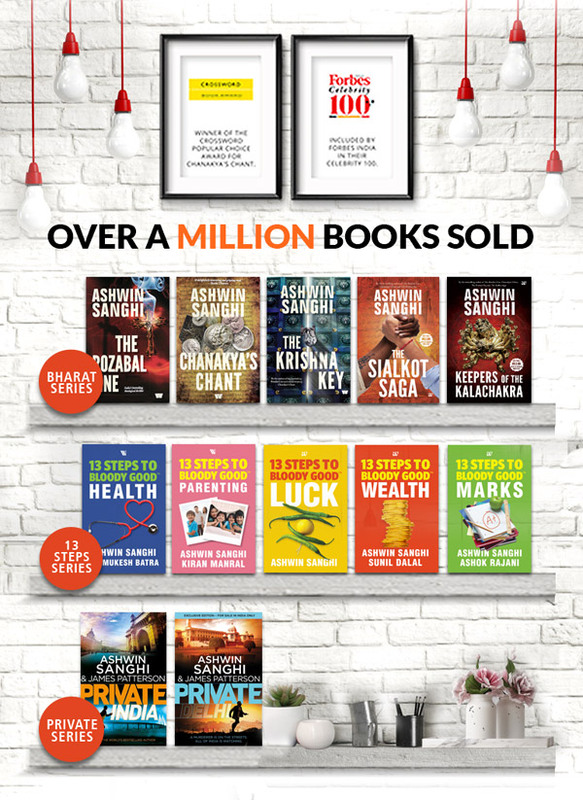 He has co-authored 13 Steps to Bloody Good Health with Ashwin Sanghi.